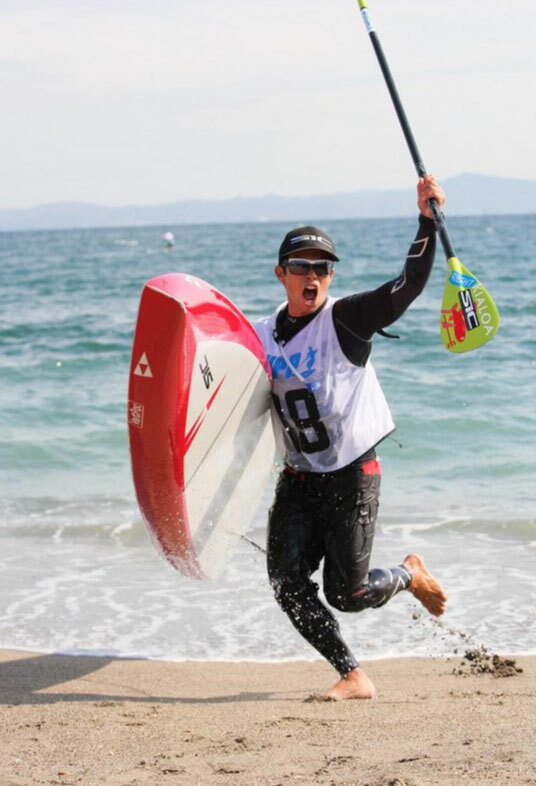 Boss Man’s note: Japan is one of the new frontiers in the world of stand up paddling. 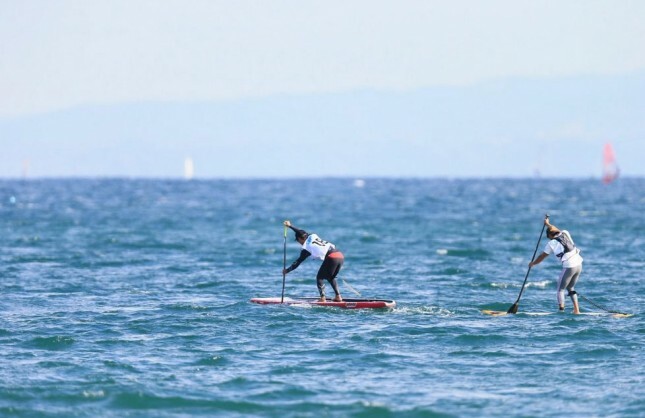 They have a fast-growing, super stoked paddling community that features some serious talent. 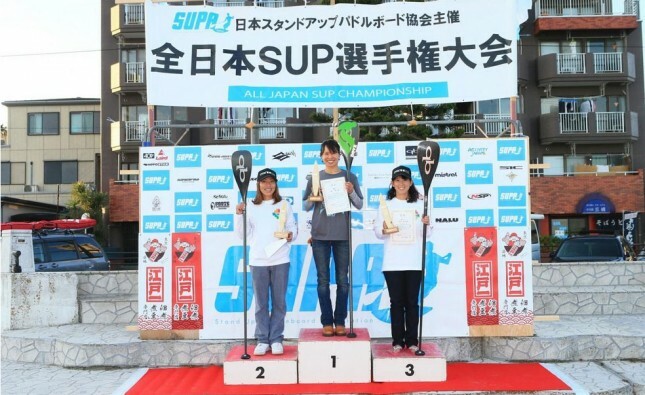 I predict 2015 will see a lot of elite international talent heading to the Land of the Rising Sun to compete… On the weekend it was the locals’ turn to shine, as we saw the national titles and a spot on Team Japan for the 2015 ISA Worlds in Mexico up for grabs. Here’s a recap and photos thanks to the event organisers. One of the most important events on the Japanese SUP racing scene, the 3rd annual All Japan SUP Championship, was organized by SUPA-J (Stand Up Paddleboard Association Japan) and held at Miura Beach in Kanagawa, 60km south of downtown Tokyo, on November 16th. 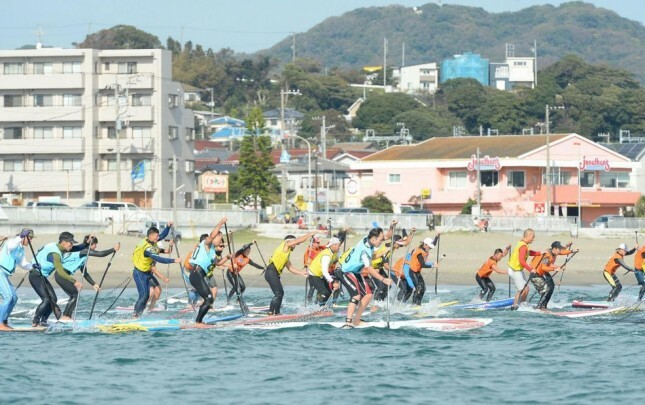 A total of 69 elite class paddlers competed fiercely to get the #1 spot in Japan. The race was held on a complex, 10km course with 14 buoy turns. 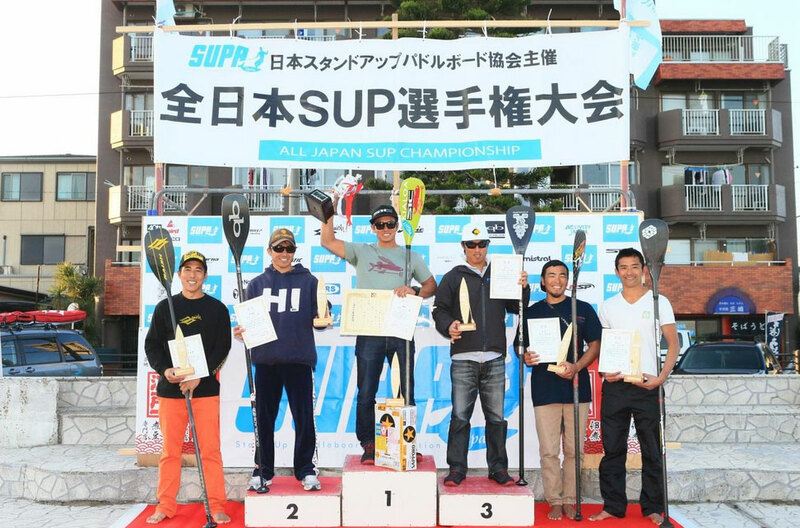 The men’s elite class title appeared to be a battle between three guys: Takujui Araki, Tomo Murabayashi and Kenny Kaneko, who are all experienced paddlers from the international race scene. At the halfway mark, Takuji gained a strong lead ahead of Kenny and Tomo. 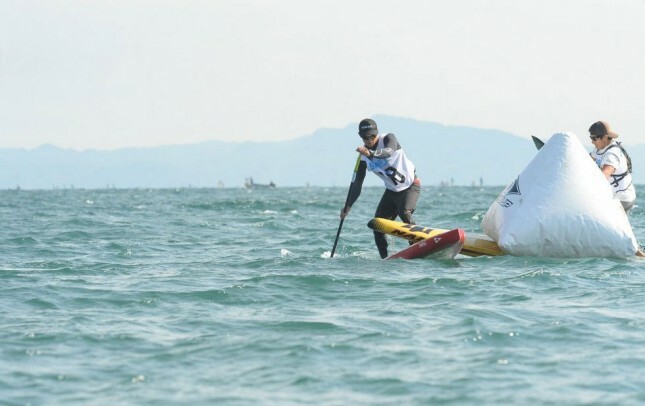 However at the 11th buoy, Kenny caught up to within inches of Takuji and began a nose-to-tail battle in front of many excited spectators. Finally, Kenny crossed the line 7 seconds ahead of Takuji. Takayo Yokoyama, who won the “All Japan SUP wave contest” two weeks ago, had a perfect race from start to the finish to claim the women’s elite class. 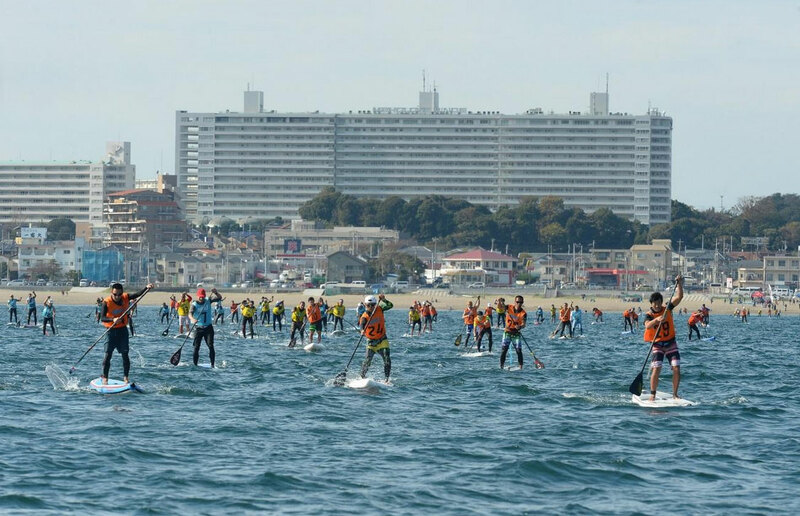 We also had a 5km open class race with around 100 participants from all over Japan, with competitors aged from 10 years right up to 73 years of age. It was a lot of fun and even though it was not the elite class, all of them paddled seriously in a quest for various kinds of age category and division titles. We were also very happy to have a special guest, Mr. Jim Terrell from QuickBlade Paddles at the event. He hosted a clinic and gave a lot of advice to the participants, who received a lot of encouragement from his talks.